​Editor’s Note: I wrote this magazine piece on wine and civility two months after 9/11. However, the search for civility in everyday life has more resonance than ever, with the riots in Ferguson, ISIS, Jian Ghomeshi, Gamergate, unfettered consumerism, and the mysogenous micro-aggressions that women face daily on social media. I welcome your thoughts here: never loose your voice. The trouble with moderation is that it’s hard to get excited about it. Until now. After September 11, moderation seems to be rarer than a California cult cabernet. Finding the moderate and the civilized in everyday life has become all the rage. Few things embody these values more than wine, and the food we eat with it. A river of wine flows through most of human history — from the ancient clay jugs found buried beside the Nile to the glass of cabernet accidentally tipped over while visiting web sites about ancient Egypt. In the countries that make it, wine is part of the national customs, culture, literature, arts, religion, science, geography and trade. And it’s also one of the last true things we consume. Despite all the genetic engineering of our food these days, wine remains deeply connected with the land. Today, some of the best conversations happen at the table, and some of the most brilliant ideas are conceived there. Just as importantly, eating and drinking together helps us to understand people from other cultures through their wine and cuisine. 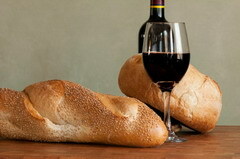 Wine has long been a closer companion to food than has hard liquor or beer. The high alcohol content of hard liquor overwhelms food – the reason it’s often consumed on its own. (To paraphrase, “Wine is fine, but liquor is quicker.”) Beer, though moderate in alcohol, has a narrower range of complementary aromas and flavours than wine. Food and wine matching came into vogue in the late 1800s, when French dinner hosts started serving with multiple courses and tried matching each with a different wine to heighten the gastronomic experience. Classic matches such as foie gras and sauternes and Stilton and port soon emerged. 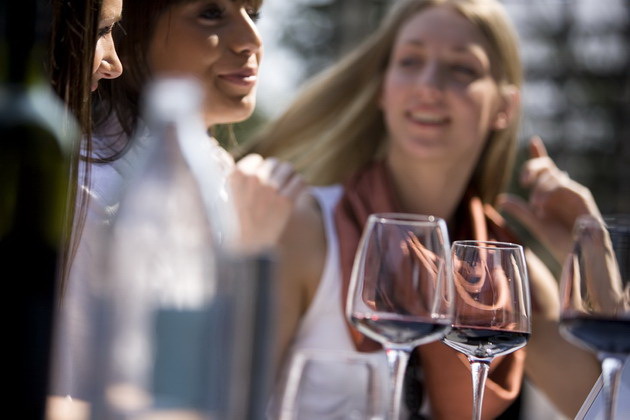 Today, the fashion is to break the rules, but wine remains the best complement to food. 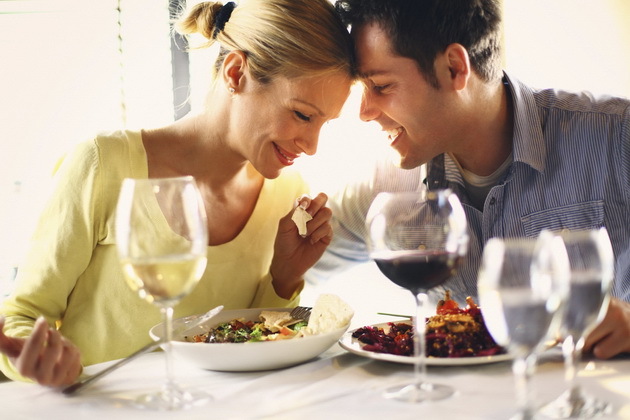 Matching food and wine calls into play all of the senses, one of the few activities that connects our minds to our stomachs – and livers. And in an age of passive entertainment, it’s the only pleasure we truly consume. Eating and drinking is something we need to do, unlike attending the theatre, ballet or opera — but when we infuse an animal need with camaraderie and creativity, we move from sustenance to cuisine. It becomes part of us, and we turn it into blood, bone and gesture, as Rilke would say. It reminds us of how fleeting life is — no record of the food, wine or conversation is left, only memory. Even the rituals of food and wine, such as the etiquette of which fork and knife to use or the passing of a decanter of port clockwise around the dinner table, require civility and a nod to those present, those who sat before us and those who will sit when we are gone. 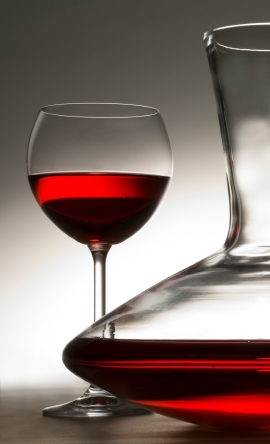 Wine is as cerebral as it is sensual: it begs for appreciation, reflection and conversation. Most of its character is in the aroma, connecting to the areas of the brain responsible for memory and emotion. 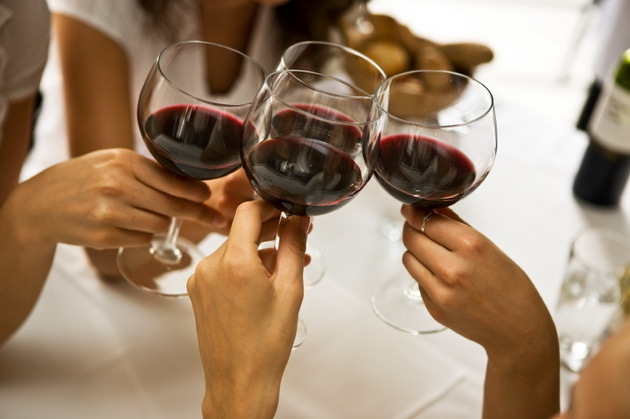 Drinking wine is, therefore, a full-brain exercise (until it becomes a foggy-brained exercise). The complexity of wine is also an exercise in memory. Take all the wine-producing countries from both Old and New Worlds. Layer the sub-regions, appellations and quality designations of thousands of wineries and châteaux, all of which have different winemaking methods that vary according to climate every year. Throw in hundreds of grape varieties, blends and styles, including red, white, rosé, sparkling, fortified, botrytized, late harvest, ice wine and others: wines to drink before, during and after the meal, wines for celebration (champagne) and for reflection (port). 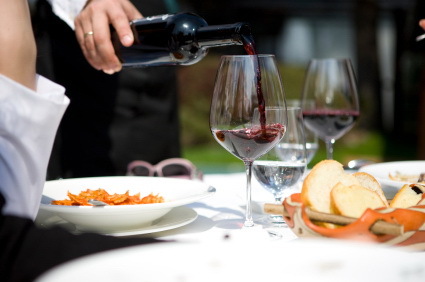 Then there are aspects such as the chemistry of aging wine, decanting it and matching it with food. The complexity of wine’s charms are why many of our great literary minds – Plato, Aristophanes, Baudelaire, Byron, Dickens, Joyce, Hardy, Tolstoy – have written more about wine than about any other type of alcohol. So powerfully can wine sharpen our feeling for life that we’re also driven to quantify those feelings: we rate wine, but not orange juice; and we analyze the differences soil and climate make to wine, but no one cares where the cabbage was grown. That complexity makes some people distain those so-called experts, “wine snobs.” True, some wine lovers have an unfortunately low emotional intelligence quotient. And yet we don’t dislike those who know a lot about fly fishing, for example — we call them enthusiasts, not snobs. But pleasure became the shadow of safety, pushed to the back of our minds when we watched the fire fighters and volunteers work their way through the rubble of the World Trade Centre Towers. In fact, September 11 caused many people re-evaluate what was important in their lives — and what was not. And many in the hospitality industry wondered if their work still had meaning. After all, weren’t wine and food now trivial? But wine and food remain an important expression of western culture. Making wine is a western industry; drinking wine, a western habit. For instance, not one of the countries that America considers a sponsor of terrorism produces wine. Iran doesn’t, and nor do Iraq, Syria, Libya, North Korea, Cuba and the Sudan. Nor do the countries where UN peacekeeping forces are stationed, such as central Africa and the Western Sahara. So are only countries that make and drink wine civilized? Certainly not. Some don’t produce wine because their climate isn’t suitable, and others don’t because their religious convictions don’t allow it. In fact, it’s believed that Muslim alchemists first developed the technique of distillation, and later taught it to Spanish explorers. The techniques were preserved in monasteries through the Middle Ages, like much of Europe’s literature and culture from that time. But the first known civilizing influence of wine goes back to the third millennium BCE: the Sumerian epic poem Gilgamesh tells of Enkidu, a wild man, who became civilized when a temple whore gave him wine to drink. The advocates of Prohibition ignored that wisdom to their eventual detriment a hundred years later, when they dumped wine into the same category as all demon drink. After their invasion, German “wine merchants in uniform” (or Weinführers , as the French called them) went out to the French wine regions to buy wine at arbitrarily low prices, and then sold it at a premium on the international market to fund the Third Reich’s war machine. But many French winemakers resisted occupation by hiding their greatest wines in their cellars. At Domaine Drouhin, for example, the proprietor’s eight-year-old son collected spiders to spin webs in front of the fake cellar wall his father had built to hide the good stuff. And Parisian carpet-cleaners donated the dust from beating rugs to restaurant owners, who used it to make bottles of young wine look older for the Germans. Many vintners mis-labelled their wines, and some went a step further: one Burgundian négotiant supplied the Germans with what they thought was gin — but was really eau-de-Santenay, a powerful purgative. In other acts of vinous insurrection, Loire grape grower Jean Monmousseaux smuggled Resistance leaders through German checkpoints in empty wine barrels. The owner of Chateau Pichon-Lalande, May-Elaine de Lencquesaing, hid two Jewish families in her labyrinthine cellar while Germans occupied the château upstairs. There were collaborators too, though. The Bordeaux wine merchant Louis Eschenhauer increased his fortune by vigorously supporting the wine trade with the Nazis. And most vintners continued to make wine during the occupation, rather than uprooting their vines and smashing their barrels so that the Nazis couldn’t profit from them – a scorched vineyard policy of sorts. But in 1939, the year World War II began, even Mother Nature seemed to join the Resistance: the vintage was terrible. (That was the wine that the French tried most to unload on the Germans.) By contrast, 1945, the year of the victory, was a spectator vintage. What about the Germans’ own wine? After the war, the country’s rieslings evolved from sweet liebfraumilch (think Blue Nun and Black Tower), into drier, more elegant wines that were more food-friendly. 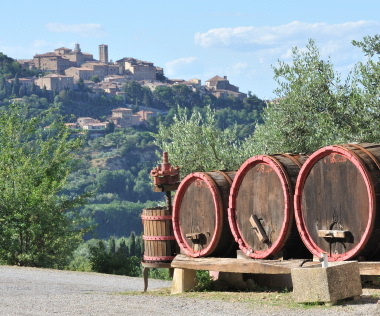 In Italy, chianti — whose empty bottles were best known as candle holders — got a makeover with the rise of Super Tuscans. It was the same with South Africa: after apartheid was abolished, its wines leapt forward in quality. And since the fall of the Iron Curtain, Hungarian and Romanian wines have also become increasingly well made. Drinking wine for world peace is the sort of theory that comes from – well, drinking too much wine. But supporting our own hospitality industry – whether as a sommelier, a patron or even a wine writer — has never been more important. Our wine and food culture is still as meaningful as ever: those in the industry are still the bearers of culture and comfort. 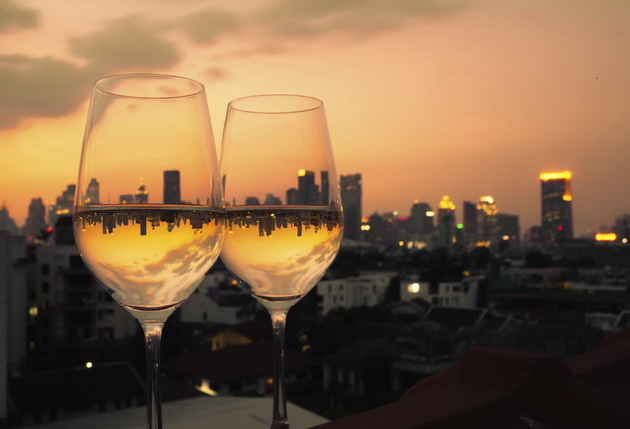 As well, wine is a vital part of the economy of any country that produces it, earning billions of dollars in revenue. The industry employs tens of thousands of skilled people, who work in wineries, restaurants and marketing companies as well as in spin-off businesses such as travel and recreation. Even when the economy shifts, the alcohol business is usually one of the least volatile: we drink in good times to celebrate; we drink in bad times to console. But the bad times after September 11 were different from previous conflicts and recessions. First, there was the “CNN effect”: people cocooning in front of their TVs to watch non-stop coverage. That translated to less dining out and more drinking at home: in New York City, retail liquor sales in the final months of 2001 were up 12% over the previous year. And in California, alcohol sales in grocery stores surpassed those in restaurants for the first time in ten years. White-tablecloth restaurants that cater to business people and tourists are still suffering. But local neighbourhood places that serve comfort food – modestly-priced restaurants and pubs — are busier than ever. Demographers say that people are staying longer at these places, and ordering stiffer drinks. Is that a good thing, though? 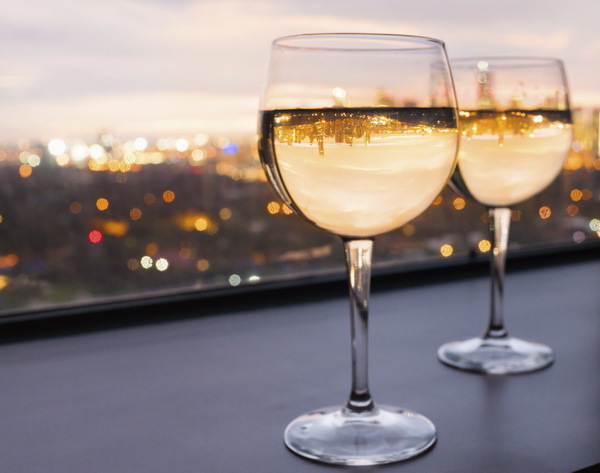 Columbia University’s Center for Addiction and Substance Abuse found that four large U.S. cities, including New York, experienced a substantially increased demand for alcohol and drug treatment. Nationally, treatment admissions increased ten to twelve per cent. The Centre is tracking these trends to see if the current surge in drinking will follow the pattern of Oklahoma City, where studies showed that three times as many residents as before required treatment after the 1995 bombing of the federal building there. The second factor that makes this downturn different from others is the new fear of travel. When people stopped flying in the weeks after the attack, they also stopped travelling to winery tasting rooms. California owners report that sales are now returning to normal – but from visitors within a three-hour drive, rather than from foreign tourists. This hurts small boutique wineries the most, since they depend largely on selling to customers who can’t buy their wines at home. Wineries that depend on duty-free sales are feeling the pain too, and not just because fewer people are flying. Drinkers who still travel are reluctant to put wine bottles in their checked luggage, for fear of breakage – but U.S. airlines won’t let them take bottles in their carry-on bags any more. So they just don’t buy. Tighter border security is also an issue for Californian winemakers, who often depend on undocumented labourers from Mexico to pick the grapes: some industry analysts estimate that these workers comprise as much as half the workforce. Since few American labourers are willing to tackle such gruelling work, a shortage of Mexicans could cause a dramatic rise in the price of Californian wine. But the greatest loss for the North American hospitality industry, in both business and human terms, was one of America’s most prestigious restaurants — Windows on the World, situated at the top of the World Trade Center. This restaurant had a cellar of 50,000 bottles, sold more wine than any other in the United States, and its school educated some 15,000 people in wine appreciation. I remember dining there back in 1999, and can still recall that soaring feeling, looking out at the city sprawled out beneath me in all its light-beaded splendour. For three hours, I was no longer an unsophisticated girl from Canada – I was New York. I drank glassfuls of Château d’Yquem, Latour, Lafite, Margaux and Haut-Brion, all in the same tasting flight — the generous sommelier kept topping me up. Dining there was one of the high points in my life, an experience I thought I’d remember forever. And now I know I shall never forget. On the morning of September 11, Michael Lomonaco, the restaurant’s executive chef, stopped off briefly in the lobby instead of taking the elevator straight up to his office — a few minutes’ delay that saved his life. But 73 employees, including two sommeliers, were killed. Also dead were those who worked in the cafeterias and food concessions on the less-glamorous concourse level. These workers, often immigrants, only earned $10 per hour — but many were the sole means of support for their families. That’s why the Windows of Hope Family Relief Fund was established: to provide aid to more than 120 families of the victims, including some 110 dependent children. The Napa Valley Vintners Association pledged $250,000 to this fund; and on October 11, participating restaurants around the world donated 10% of that evening’s sales. Of course, the hospitality industry doesn’t have a monopoly on being humane. 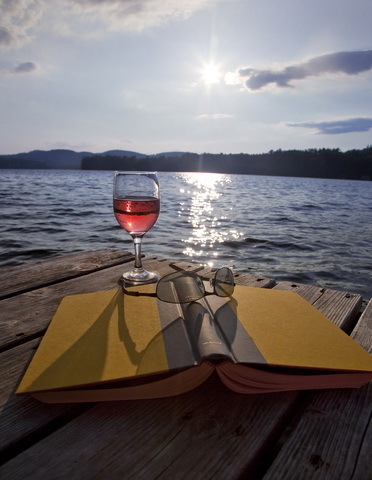 But it does highlight the fact that wine can teach us important human values. For instance, making wine teaches us to invest in excellence. Vintners pay a premium to buy the best vineyard land so that they can plant on the slope that gets the most sunshine. And they use expensive oak barrels for more nuanced aromas, rather than just tossing in wood chips. Secondly, making wine teaches us to be patient. Vintners must wait at least se ven years before their vines produce mature fruit, and then they have to allow the wine to age in the bottle for several years. They can’t rush it to market, and they can’t double production by adding more line workers. Thirdly, wine teaches us to be selective. Vintners prune the vines as they mature, so that by harvest time the remaining grapes are fewer but more concentrated. And when Mother Nature doesn’t cooperate, they bottle the wine under a less prestigious label — rather than dilute a good name. Fine wine asks us to be more demanding of ourselves: to learn about a subject that is as cerebral as it is sensual, and to share that knowledge with confidence rather than arrogance.